The ocean around Timor-Leste provides excellent fishing opportunities. Local people are adept with net, spear and trap. 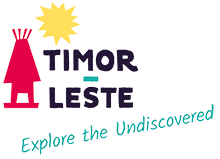 Arrange to go out with Timorese fishers in their colourful wooden craft for inshore fishing or charter a larger tourism boat and head for the deep. Potential big game fish that ply Timorese waters include giant trevally, yellow fin tuna, Spanish mackerel, sailfish and marlin. One of the joys of travelling in Timor-Leste definitely is eating freshly caught barbecued fish (with a squeeze of fresh lime juice).